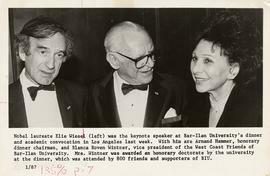 Photograph depicts Elaine at her convocation ceremony. Photograph depicts a portrait of Elaine Fromson in her convocation gown and cap. Photograph depicts Sayle in convocation robes. Photograph depicts Ruth Weinstein, daughter of Harry and Elizabeth, in her convocation gown. Photograph depicts Etta Weinstein in her convocation cap and gown. Photograph depicts Elaine in her convocation gown and has been coloured in by hand. 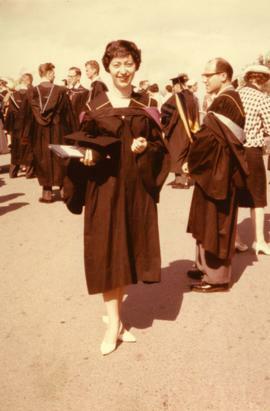 Photograph depicts Elaine Fromson at her convocation.